The villa is modernly decorated and offers comfort for a maximum of 7 persons. You can enjoy more than 150 square meters of the exclusively furnished Villa Camelia. 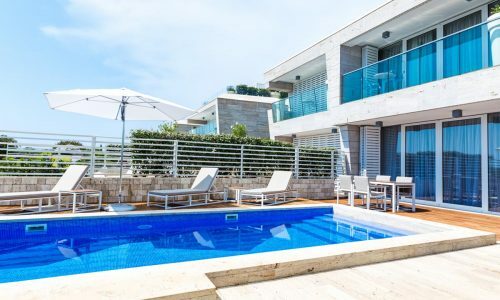 You can enjoy more than 150 square meters of the exclusively furnished Villa Magnolia. You can enjoy more than 140 square meters of the exclusively furnished Villa Salvia. 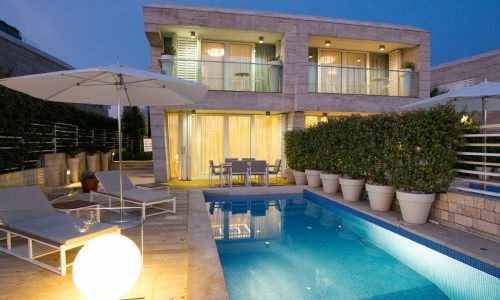 You can enjoy more than 150 square meters of the exclusively furnished Villa Oleander. This beautiful three room villa on two levels on the island Ugljan offers you a quiet location for holidays on the sea. 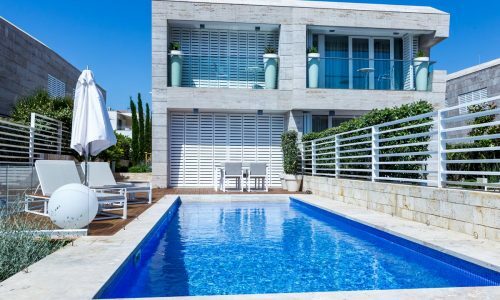 This tastefull furnished villa offers a heaven of relaxation in a warm mediterranean atmosphere on a wonderful peaceful and quiet location. 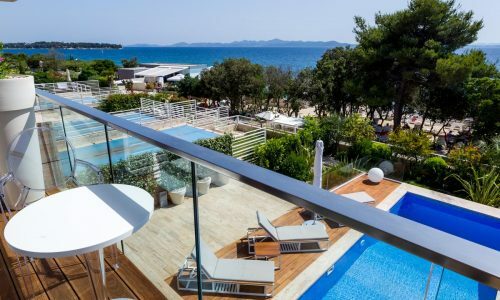 Lovely seaside villa with private pool only 25 minutes by ferry from Zadar. 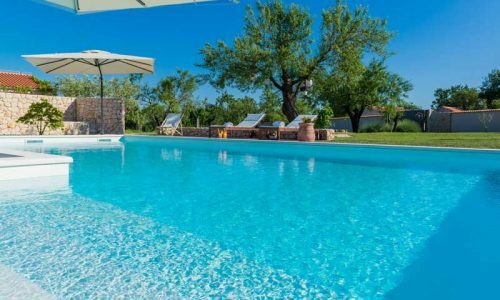 A beautiful stone villa with heated pool on the island Ugljan, just 25 minutes by ferry away from Zadar.